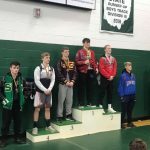 Multiple Teams · Feb 20 Pirate’s advance nine wrestlers to OHSAA District Wrestling Tournament!! Multiple Teams · Feb 6 Pirate Wrestling team PTC Co-Champions in the County Division! Multiple Teams · Feb 3 Pirate wrestlers fall to Lake Catholic in sweet 16 round of OHSAA State Duals. Multiple Teams · Jan 27 Pirate wrestlers win OHSAA State Dual Regional Quarterfinals – advance to Regional Semifinals !